Every Palladiom shade bracket begins with a solid piece of extruded aluminum — brushed by hand, smoothed to perfection, and crafted to last a lifetime. All visible elements of the system, from the bracket to the fastener covers to the tube-bearing sleeves, have all been hand-finished to create a continuous and clean look. 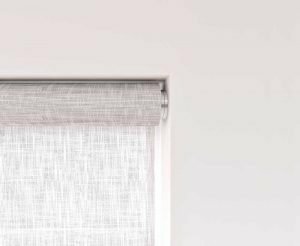 Palladiom Shading System also showcases a new bottom rail, designed to ensure a minimal, balanced aesthetic, and one that completely disappears with the roller shade is fully open. The Palladiom Bottom Rail beautifully features Lutron-patented Intelligent Hembar Alignment, designed to synchronize the movement of multiple shades in a space. Capable of covering a 12-foot-by-12-foot window with a startlingly slim two-inch tube, Palladiom shades have an innovative tube geometry that results in a structure that is remarkably rigid, yet extremely light. Designed from end to end to cleverly conceal all wiring and programming interfaces, Palladiom Shading System offers symmetrical ½” light gaps to complete the clean aesthetic. This product allows builders and contractors to differentiate themselves in the marketplace by showcasing a new, minimalist aesthetic. Palladiom is a beautiful, new shading solution that features highly-crafted exposed hardware for the world’s most exquisite homes, ideal for the semi-custom and custom home builder. 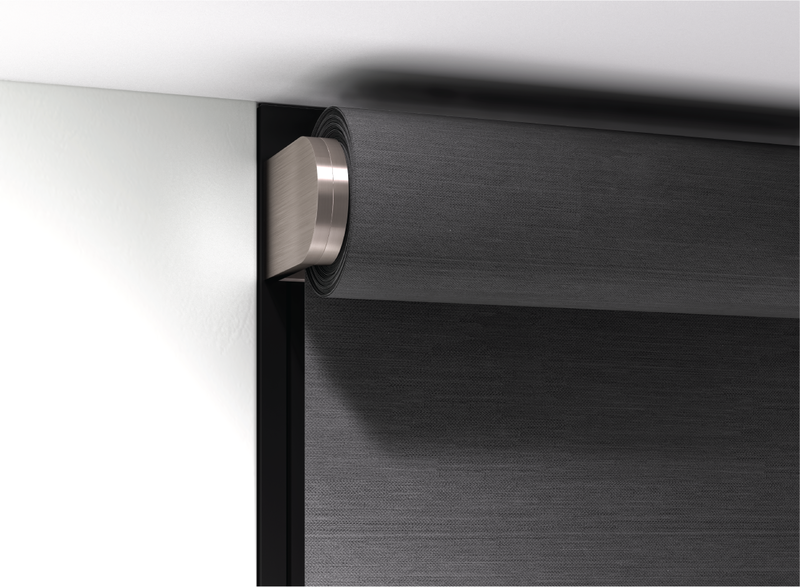 Builders no longer need to create recessed pockets to hide shade components since hardware is meant to be exposed. This new aesthetically-driven solution offers industry-leading shading performance and reliability, plus seamless integration with Lutron’s HomeWorks QS system and other third-party products to create an immersive light, shade and temperature control experience. This new shading system expands the Palladiom collection of coordinating keypads, accessories and thermostats, giving homeowners the ability to match aesthetics throughout a space without compromise. Sleek and sophisticated, Palladiom is designed to fit anywhere. It blends into any architectural style seamlessly, especially when the jamb bracket is integrated into a frame or window recess. The circular bracket visually extends the structural tube outward and into the wall so that the shade appears to float in midair.